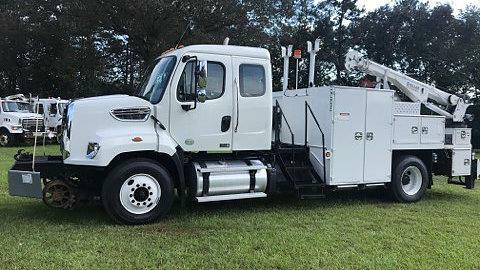 2014 Freightliner 108SD ( SEVERE DUTY ) Hi Rail Gang Truck. This truck is equipped with a 8.9L Cummings engine and a 10 Speed Eaton Fuller Transmission. This unit has been fleet maintained, and just came off lease from Railworks. This truck is in excellent condition, and is among the latest model Gang Trucks on the used market currently.